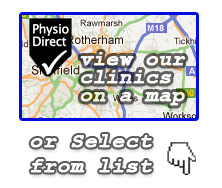 Having spent some time over the last few years working in one of PhysioDirect’s more northern clinics, in the old mining town of Mansfield, I have had the pleasure of working alongside Phil Rippon. I will always remember my first day working for the company, starting off in Mansfield. I arrived like an eager beaver; early and slightly nervous as anyone does on their first day, waiting in the carpark for the place to open. Phil turned up a few minutes after me a look of what can only be described as complete exhaustion on his face. My first thought was “oh dear god, I hope they don’t work me as hard as this guy”, but as I chatted to him later that morning, my initial worries about PhysioDirect were eased as it emerged that Phil had only had a few hours sleep the previous night, having travelled back from near Scotland with the Nottingham Panthers ice hockey team. The other week Phil hobbled into work equally exhausted after completing the great north run, but in spite of his tiredness, he has kindly agreed to give some of his time to answer a few questions around the interesting work he does at the Panthers, and a little bit about the work he does here at PhysioDirect. To kick things off, I thought I’d find out a bit about Phil’s journey into physiotherapy. B: So Phil, I know we’ve talked a bit about this before but tell me a bit about yourself, what made you decide to become a physiotherapist? P: I guess it came from an early age when I remember looking through biology related books with my mum and grandma (both were nurses) and gaining an interest how the human body was made up and how it moved etc. Then as I went through school, biology was the one lesson I looked forward to and excelled in. I was pointed in the direction of physiotherapy when I met a careers advisor at school. B: Awesome, it seems like it was a natural path for you. Did you always plan to work in professional sport when you decided you wanted to be a physiotherapist? P: When I finally decided to be a physio I tried to gain as much experience as possible in various areas of the profession. One of these was with the physio department at Notts County FC. I really enjoyed watching how the physio’s worked and how they got players ready for upcoming games. It was a very intense atmosphere and very fast paced but it was where I could see myself working. After qualifying I worked with a semi professional team in Newcastle for a few season alongside working in the NHS and I really enjoyed my time working with both. B: So you liked to keep busy right from the start! All the initial sports work you did was in football, how did you end up working in ice hockey for Nottingham Panthers? P: Well I decided I wanted to move back to Nottingham, and when I came back I started working for for PhysioDirect. A colleague there, Scott Poundall, was already working for the Panthers as their therapist. We worked together for a while at PhysioDirect and also on a Sky Sports programme called ‘The Masters’ which was a five a side competition for ex professional footballers that was held throughout the country. Initially I helped out at the Panthers when Scott wasn’t available (which was probably once/twice a season). When Scott went back to university I was asked to be part of the medical team on a regular basis….that was 3 years ago and I have enjoyed my time there since. B: Tell me a bit about the work you do at Panthers. What are your main responsibilities as their physiotherapist? P: The job depends upon where we are playing that day, if I’m working a home game then I have to be at the rink in the morning as we have a light pre-game skate as I have to oversee the training session incase of injury. After the training I’m available to any players carrying niggles/knocks for assessment and treatment or wanting a ‘flush’ (a type of deep tissue massage that releases the tension in the muscles). Game time begins approximately 2 and a half hours before face-off when players that are needing treatment prior to the game come to see me. We also have a sports masseuse that comes to home games to help out. During the game I’m rink-side to offer medical support for any on ice injuries (thankfully we don’t get many that are serious). If it’s an away game then the role is pretty much similar just without the pre game skate in the morning. B: What are the best and worst parts of working in professional sport? P: The best part of working in sport; be it pro, semi pro or amateur, is being part of winning games and trophies and it always gives the team and staff a buzz when we get the right results. 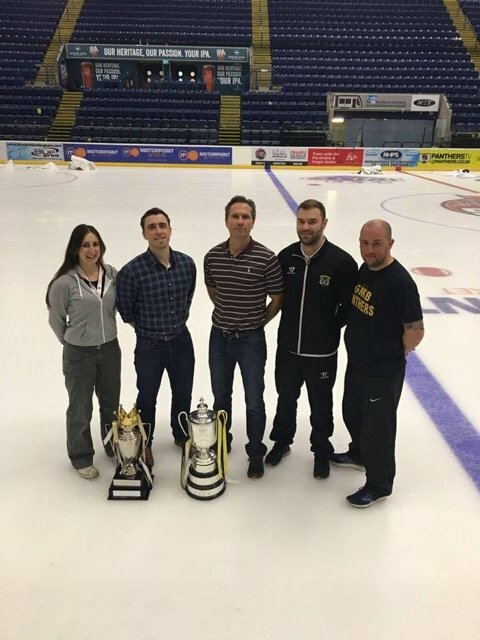 The panthers have been successful over the past few years with winning league, play-offs and challenge cups over the past 4/5 seasons which has enabled the team to represent GB in European competitions across Europe. On the other side of the coin, the worst part has to be the loses. No one likes losing! However with the games coming thick and fast there’s little time to dwell on the defeat. B: Nice, I suppose you’ll feel the ups and downs as much as the players. Keeping all the players injury free must be a big part of the winning formula though? When they do get injured, what are the most common injuries you tend to see and treat? P: There is such a wide variety of injuries I’ve seen over my time with the panthers ranging from serious injuries such as broken ribs, punctured lungs and concussions to not so serious strains and sprains of muscles and tendons. The most common injuries I have to treat are around the ankles, knees, shoulder and neck. B: Going back to keeping players injury free.. Can you tell me a bit about the kinds of pre-hab and testing/training you do with the players to help with this? P: We have a real MDT feeling to the medical side with myself and Scott, a chiropractor, strength and conditioning coach and sports massage therapists to help deal with the prehab. When players come into the country from North America they have to biometric tests done before they can get their visa. As a club we use a bunch of body measurements and test to highlight weaknesses or mal-alignments and then we work to help correct them during training camp. B: That is a theme you see across all successful professional sports teams I guess; everyone on the medical team with working towards the same goal, with good communication helping keep each player at their best. Finally one last quick question and I’ll let you get away; does the work you do at Panthers influence your work here at PhysioDirect? If so, how? P: I guess it does influence my work as I have had a few clients with undiagnosed concussions and I was able to direct them to the right place, and knew what procedures needed to be followed. Deep down under the skin we have the same body make-up wether we are pro hockey players or a company director, we just use our bodies differently. B: Great, thanks for your time Phil. Definitely some gold nuggets there for anyone interested in working as a physio in high level sport or just interested in what goes on behind the scenes. 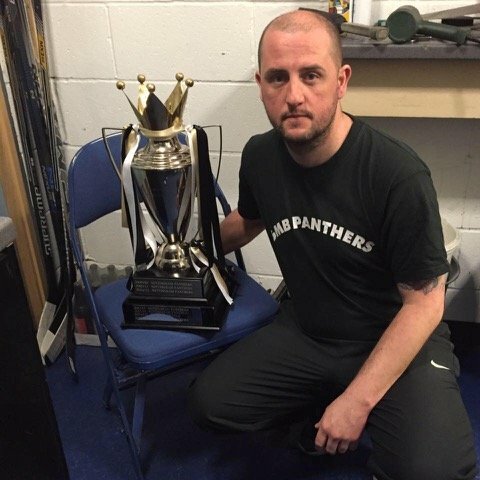 Thats it for another blog, if you want to see Phil in action you can always pop down to the Nottingham ice arena, as he will be rink-side most matches. If you’d like to book a private physiotherapy session with Phil at our Mansfield Clinic, call our admin team on 0115 956 2353 and they will be happy to book you in with him.